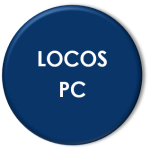 Treatment of process condensates from sulfides at oil refining and petrochemical facilities. Oxidation of toxic, corrosive sulfides, hydrosulfides contained in process condensate by air oxygen to inert, odorless hydrosulfate and sodium thiosulfate catalyzed by KSM catalyst at 60÷80°C and pressure of 0.5 MPa. Concentration of sulfide sulfur in process condensate may be up to 5000 mg/dm3 (0.5% wt.). After treatment the residual content of sulfide sulfur (hydrogen sulfide) in process condensate does not exceed 20.0 mg/dm3 (0.002 wt%). Treated process condensate with exhausted air from the top of reactor is fed to degasser D-102. Process condensate from the bottom of degasser flows into cooler E-102 and then sent to water treatment unit. Exhaust air from the top of D-102 is sent to the furnace for combustion. Technology effectively and sustainably operates in a wide range of hydrogen sulfide concentrations, does not require large consumption of heat and reagents, carbon steel units are used in the process. 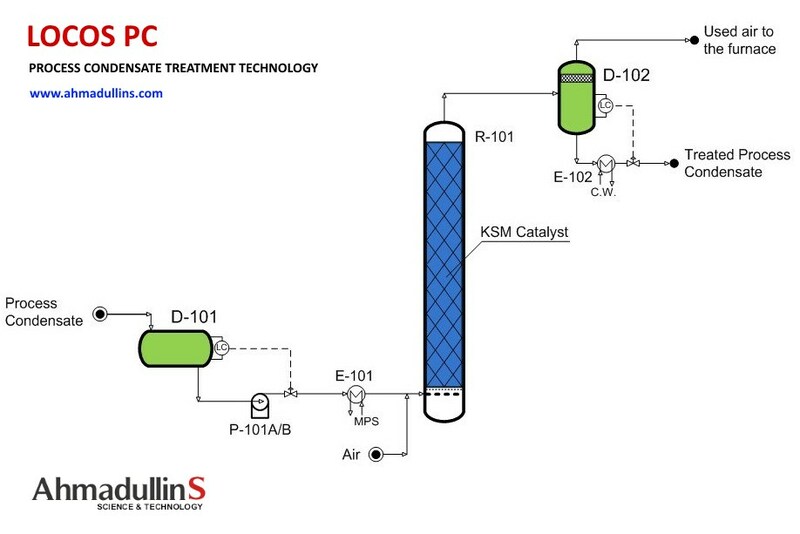 KSM catalyst having high mechanical strength and chemical resistance to acids and alkalis, allows reducing temperature and volume of the reactor. No need for its periodical or continuous feeding with expensive variable valence metal compounds. This prevents cobalt phthalocyanines and derivatives, as well as salts of other heavy metals from getting into wastewater. Guaranteed service life of KSM catalyst is 8 years. During operation, catalyst does not require additional regeneration since it runs in parallel with reaction of sulfur compounds oxidation.